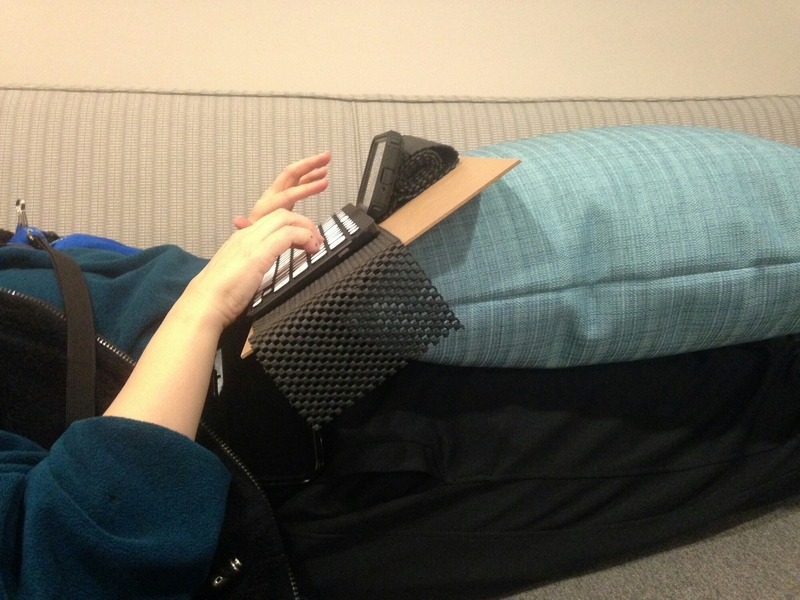 Once upon a time, I had a cool folding keyboard that slid off my lap and never folded up as nicely again. So when I bought the current generation of cool electronics, I said: never again! 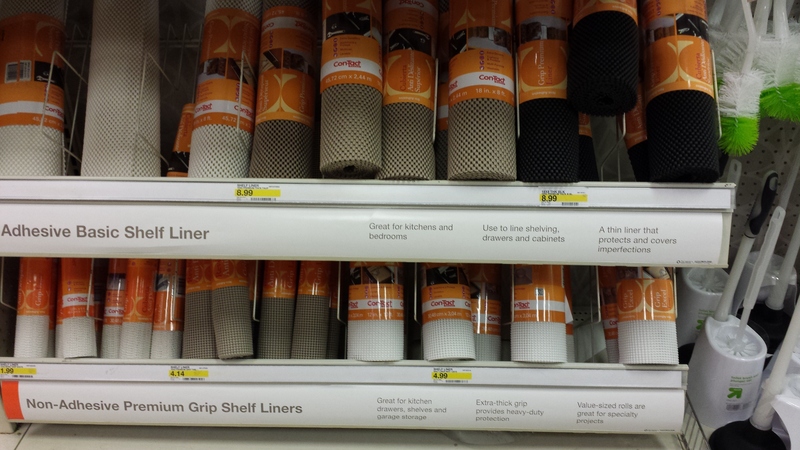 Here’s the raw material for one solution to the problem: skidproof shelf liner (photo of display from downtown Minneapolis Target store). For your reference, here are ergonomic work station recommendations from USA (Occupational Safety and Health Administration). 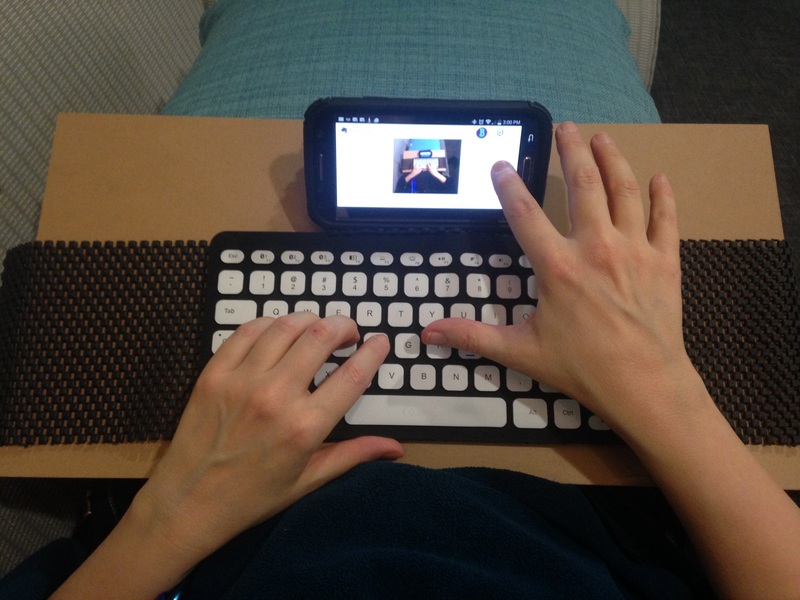 To create a really low-tech all-in-one phone/tablet stand and skidproof lap desk: cut lengths of shelf liner the same depth as your keyboard and twice as long. (This doubles as a layer of shock absorber when carrying the keyboard). If you want more stability for your tablet/phone, use longer/wider cut of shelf liner. I carry one strip for tablet/phone stand and a separate one for lap desk. This enables me to separate phone and keyboard to create an ergonomic work station for optimal work in sitting, standing, and recumbent position. When working in recumbent position: use any flat rigid surface (below we are using a small piece of Masonite) as work surface. Prop against a pillow in your lap to work at any desired angle. 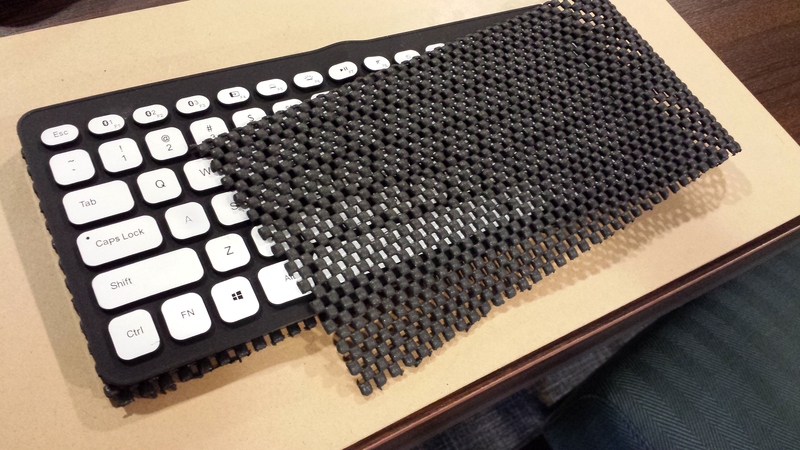 Place skidproof shelf liner to keep keyboard in place on the work surface. Roll up a second strip to create a phone/tablet stand. This is pure analog and can be adjusted to any desired viewing angle! What’s not visible in this picture: I usually work recumbent with a pillow under my knees, and a second pillow as a foot rest (to keep ankles in neutral position. This entry was posted in Writing and tagged Technology, Writer Tech. Bookmark the permalink.